In e-commerce product photography, creating your own visuals lets you take control of your communications. Whether converting visitor interest to sales or adapting to the latest trends, here are the points to consider. One of the ways you can master sensory marketing is by giving consumers the power to see and touch the products they want to buy. But when you’re reaching consumers over the internet, it’s essential to compensate for the absence of physical touch by using high quality visuals. A European study carried out by PackshotCreator in 2013 confirms that product photos and animations are the primary element inciting consumers to make a purchase. We don’t buy furniture the same way we would buy electronics or printer toner, so it often makes sense to think about what kind of visuals you need before you put images online. Do you need single or multi-view photos, animations, compositions or images of products in context? Once you’ve determined what you need, you can set up an image production flow and visual guidelines for your e-commerce website. HD photos : if you’re selling straightforward items that do not need to communicate much visual information, like food packaging or wines & spirits. Multi-views : one of the most popular solutions. These allow you to provide clients with all the visual information they need while reducing the textual part of your product files to the strict minimum. Multi-view packshots help you significantly improve the conversion rate of your e-commerce website. 360° packshot animations° : these add interactivity to your e-commerce website. They’re perfect for displaying accessories. To produce this kind of animation, you need to take multiple photographs of a single item (32 on average). The position shifts around a central axis at regular intervals until the item has made a full rotation. 3D modelling : this gives you nearly infinite options to enrich your online content. 3D modelling is very often used in fashion, furniture or interior decor, notably to allow visitors to visualize products in photorealistic 3D images. This type of visual, which has become widely accessible, gives customers the option of visualizing your products in a real environment. New tools are at your disposal to provide your visitors with new experiences, keeping pace with developments in the online market and the appearance of multi-channel / cross-channel retailing. Let your visitors configure products themselves. The goal is to provide a sensory experience so that consumers gain a sense of ownership and imagine themselves with the product in the right context. As early as 2014, Ikea began offering website visitors an Augmented Reality experience. This allows future buyers to use their smartphones or tablets to visualize what a computer-modelled sofa would look like in their living rooms, for instance. Opticians use the same technology to allow customers to try on a virtual pair of glasses in real time. Digital generation of e-commerce product photography: technological developments like Oculus and Playstation VR are eroding the boundaries between video games and e-commerce. Augmented Reality and Virtual Reality blend practical features with interactivity. Visitors to your online store can visualize themselves with your products in their own environment, and if they buy furniture, they no longer have to measure everything in store! As a recent example, in 2016, Chinese e-commerce behemoth Alibaba set up the Buy+ system. This Virtual Reality shopping technology allows internet users to immerse themselves fully in the shopping experience. It’s an invaluable tool for any online store with Generation Y customers, who were weaned on video games. Online shoppers can browse store aisles as they please, bringing up product characteristics by looking at the action buttons. Bonus : what are the options for e-commerce entrepreneurs to create in-house product photos? From simple photos to Augmented or Virtual Reality, there are numerous options to create your visuals in-house.Depending on the quantity and/or complexity of your visual needs, you may wish to hire an in-house service provider to cut down on the hassle of return trips. 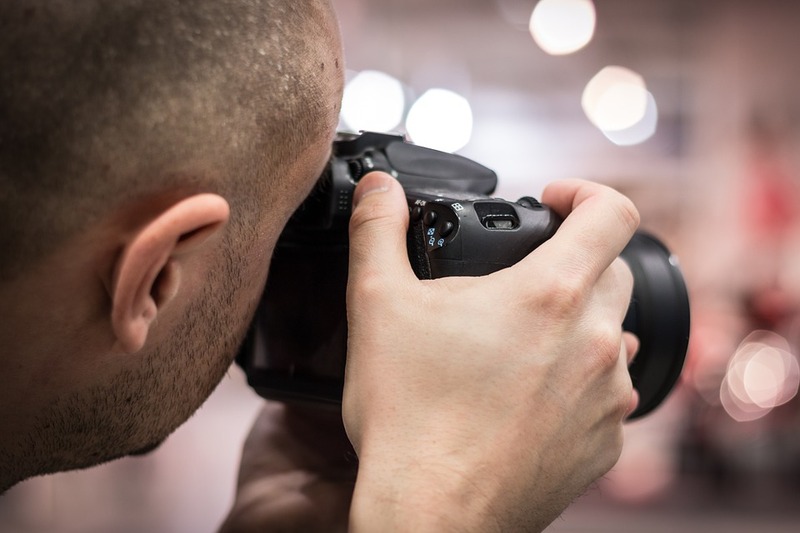 An external service provider will generally use his or her own photographic equipment. Another option is to set up equipment on site. A Packshot photo studio is ready to use, and can easily be operated by a professional photographer or a staff member. This kind of studio can be configured to create photos or animations of different items. It is made up of a box with lighting connected to a computer and operated by dedicated software. The software features allow you to standardize and unify your image production. Other features allow you to enhance photos by adding interactive zoom, scripted animations, or smart image distribution. Investing in your e-commerce product photography ensures fast reaction times and high image quality to make your online shop window stand out from the competition. Beyond e-commerce needs, bringing your image production in-house lets you take charge of everything from communications and archiving to quality control. The common denominator in each of these domains is the need to manage production flows as well as possible.